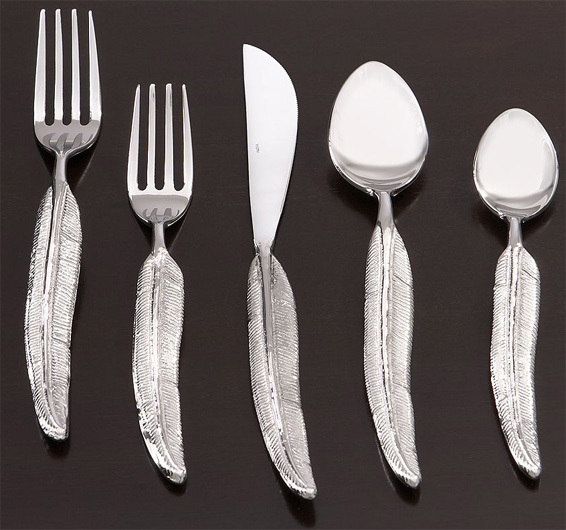 I love the feathered quill design on this hansome flatware design, even though I have a hard time thinking about the term feathered in a positive way now (I was the feathered hair child of the 80’s for a long time). 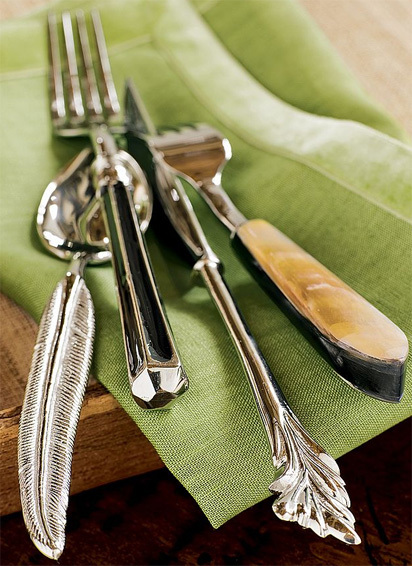 Pottery Barn’s own very own design is a great transitional flatware that can go from casual to glamorous depending on the dressed table. The Quill Flatware settings were even featured this morning at Pioneer Woman’s site where she mixed and matched different pieces from Pottery Barn like “Horn” and “Petiole” to get a fun mismatched look.